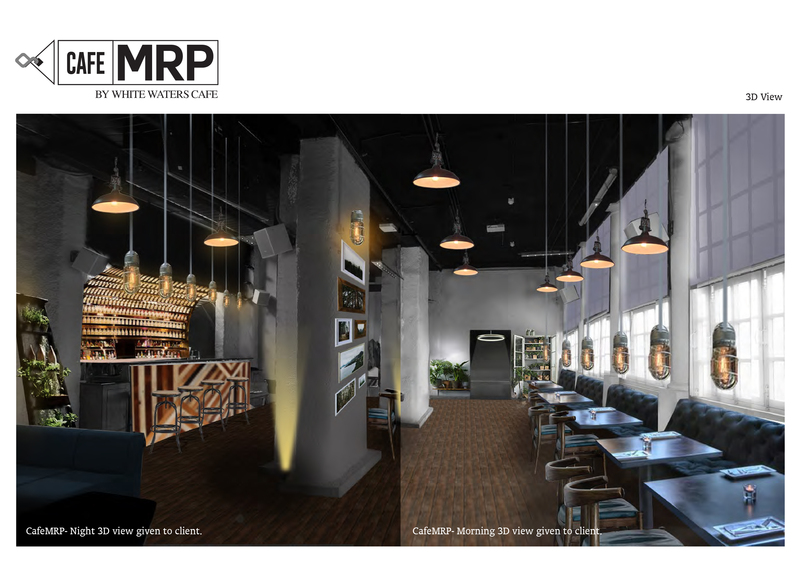 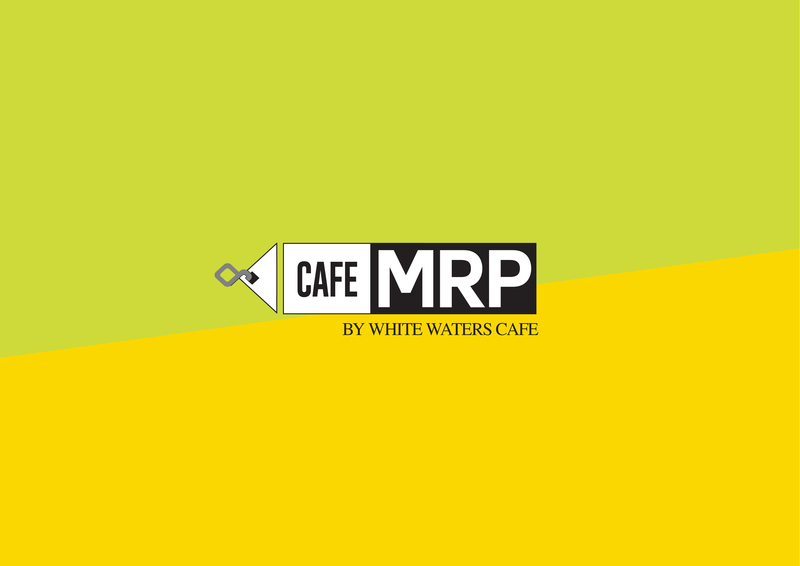 With almost no identity and less sales of white waters, we decided to come up with a new and interesting concept for White waters, which is now called Cafe MRP, located in Connaught Place. 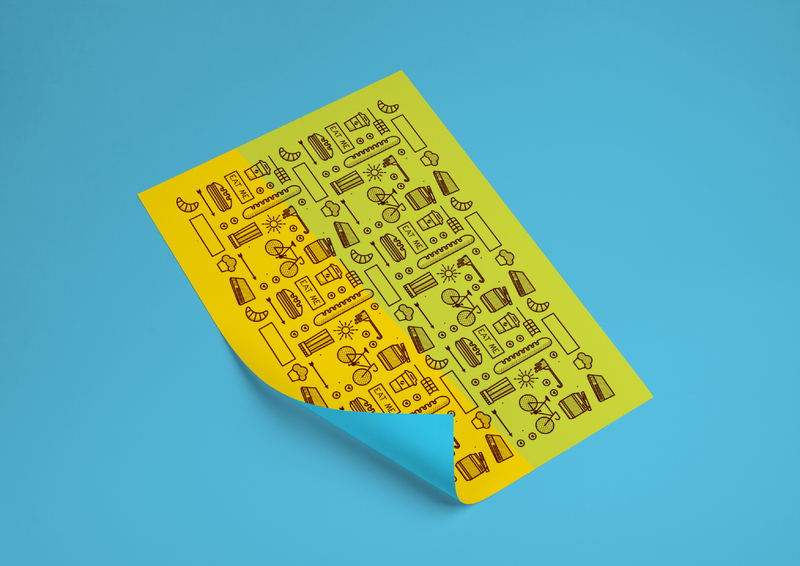 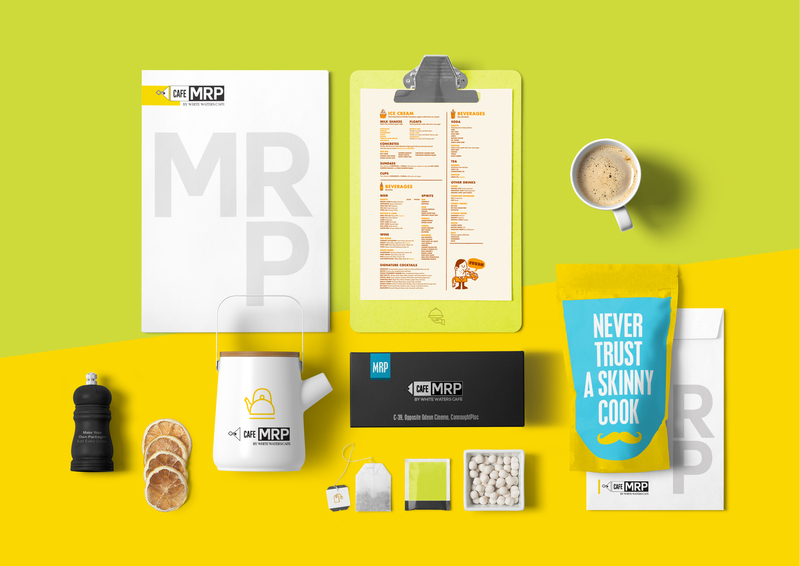 From tagline to branding, every part of the marketing was ideated by us. 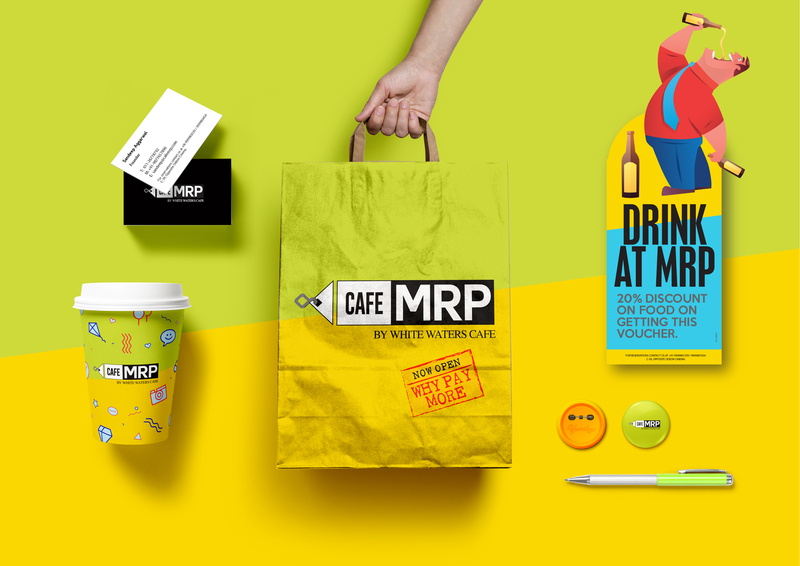 The whole concept revolves around selling drinks at MRP, without burning a hole in your pocket. 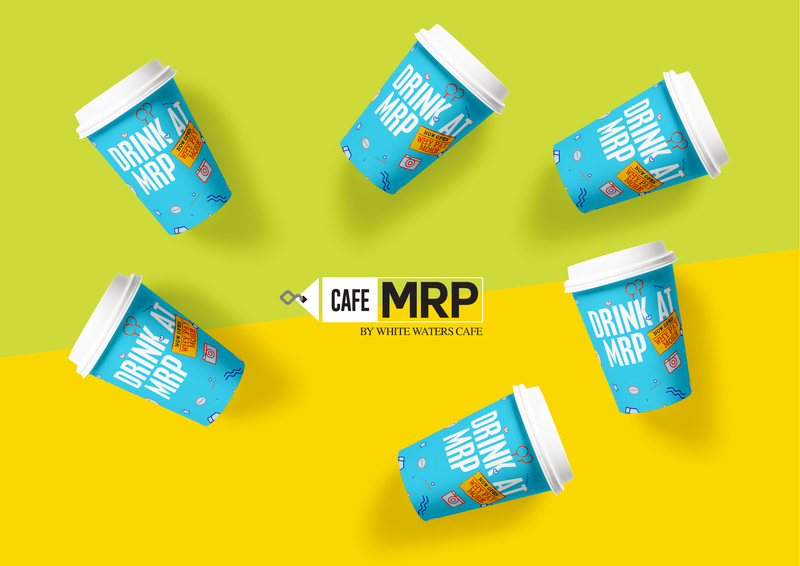 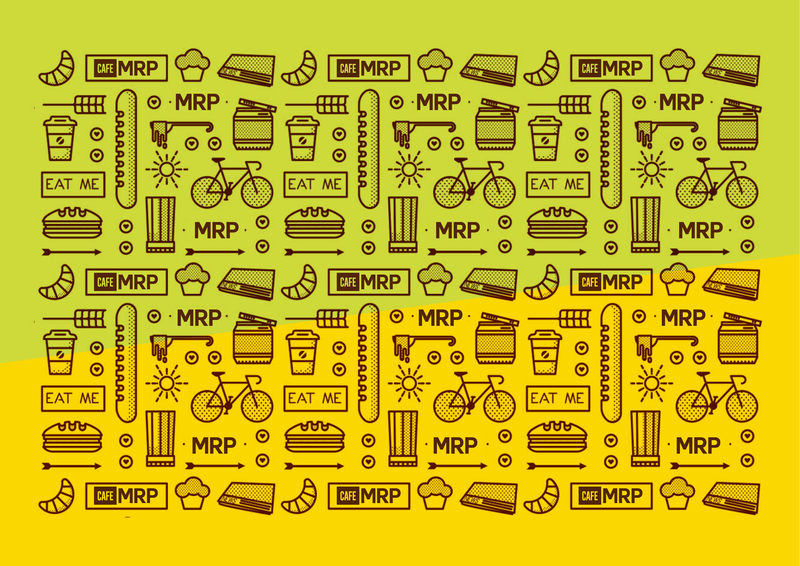 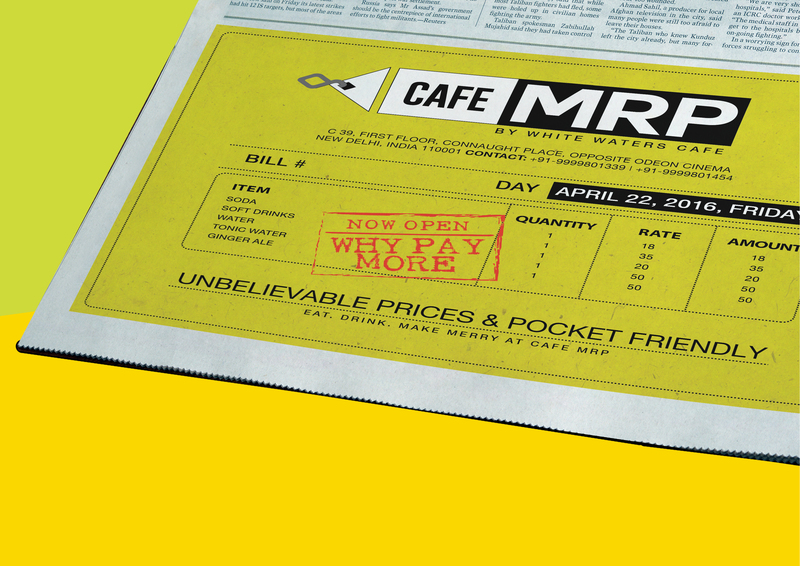 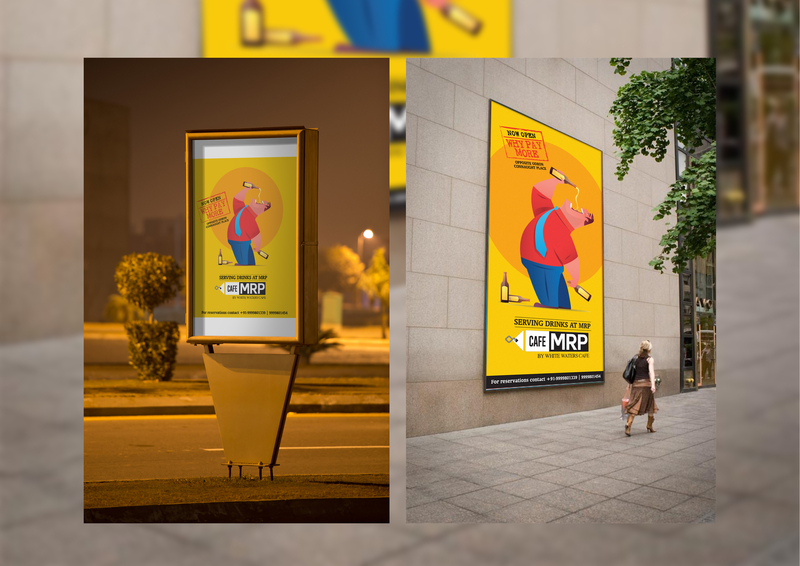 The quirky and bright creatives, is what makes Cafe MRP poles apart from other brands. 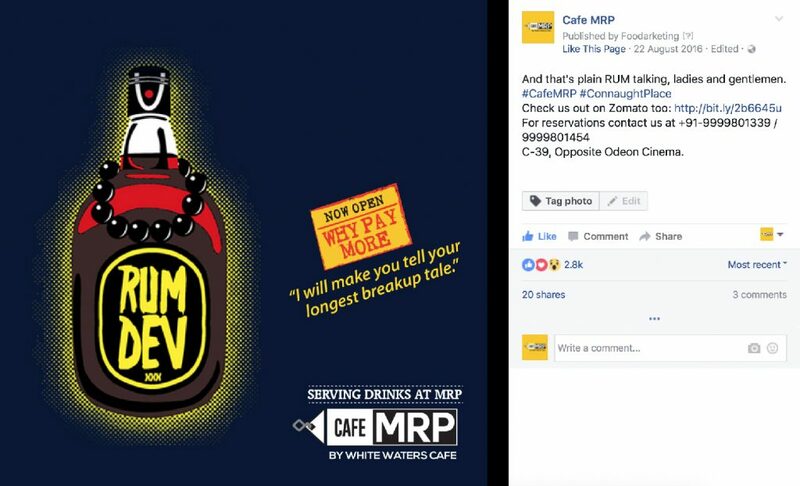 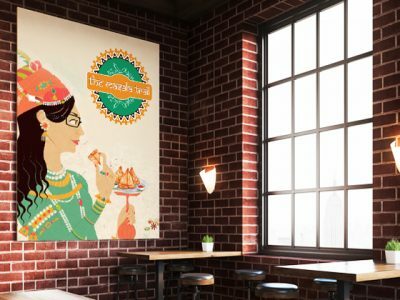 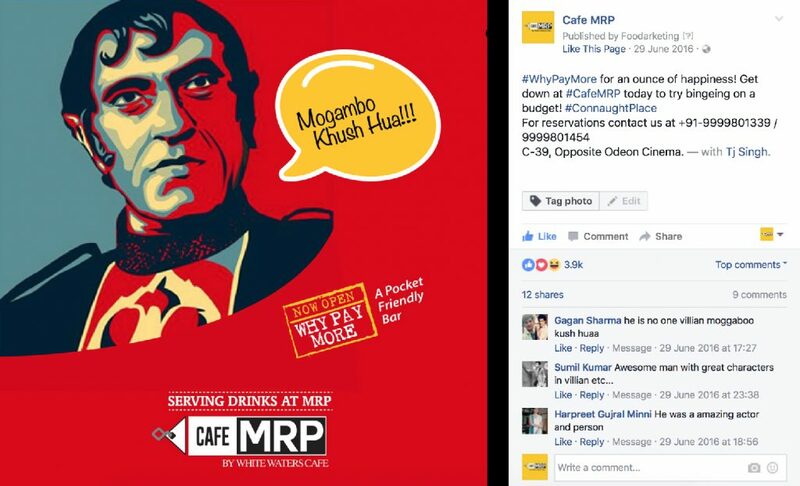 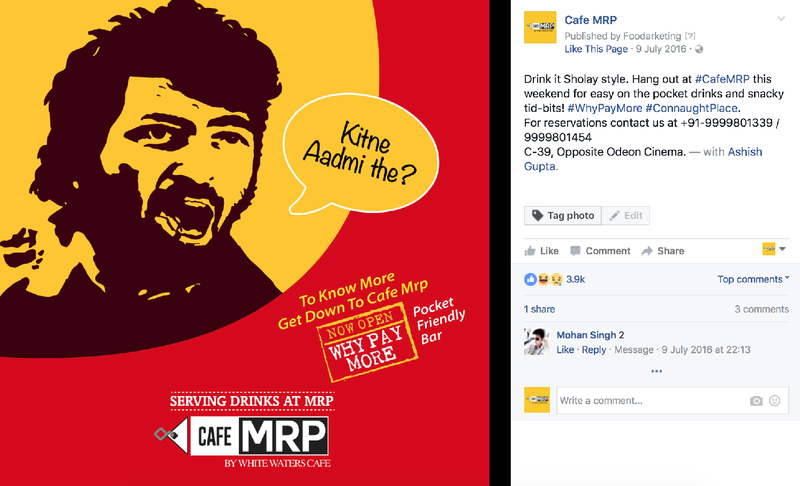 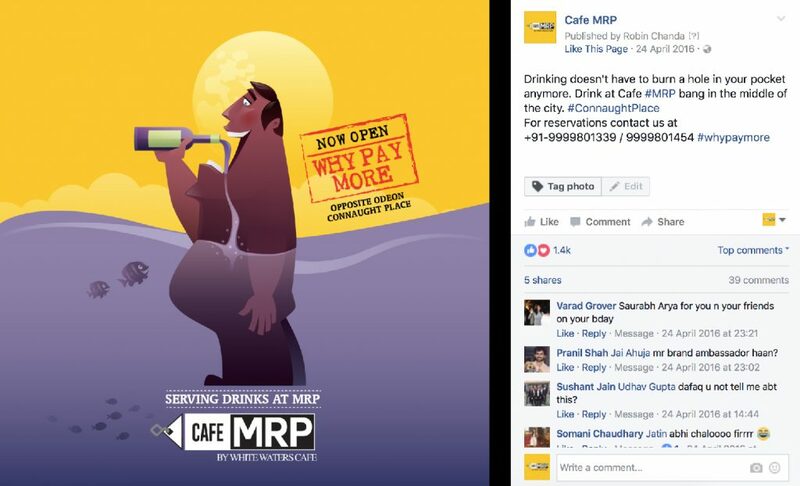 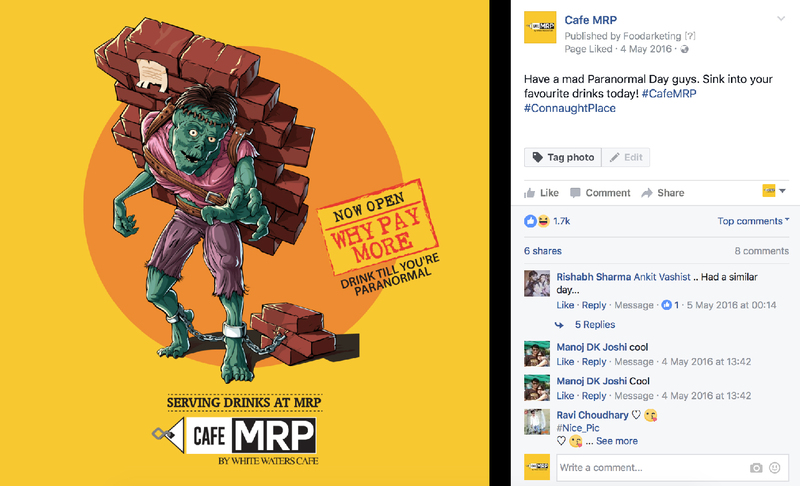 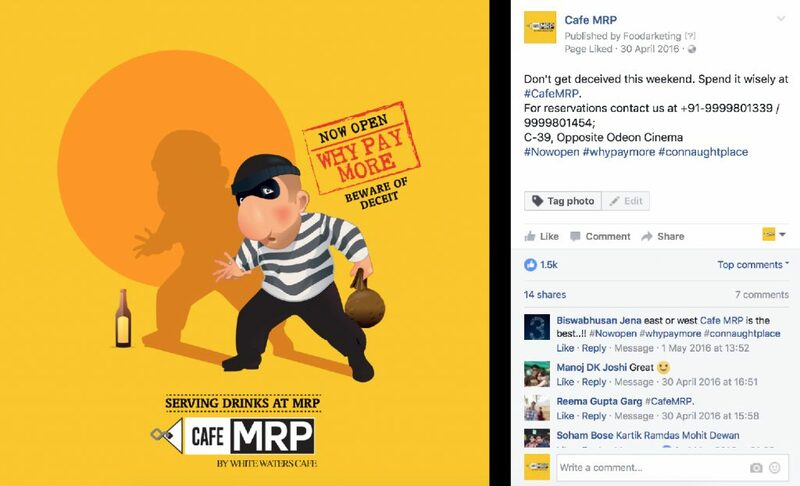 Since inception, Cafe MRP has been doing tremendously high sales in Connaught Place, with a unique concept and engaging marketing tactics. 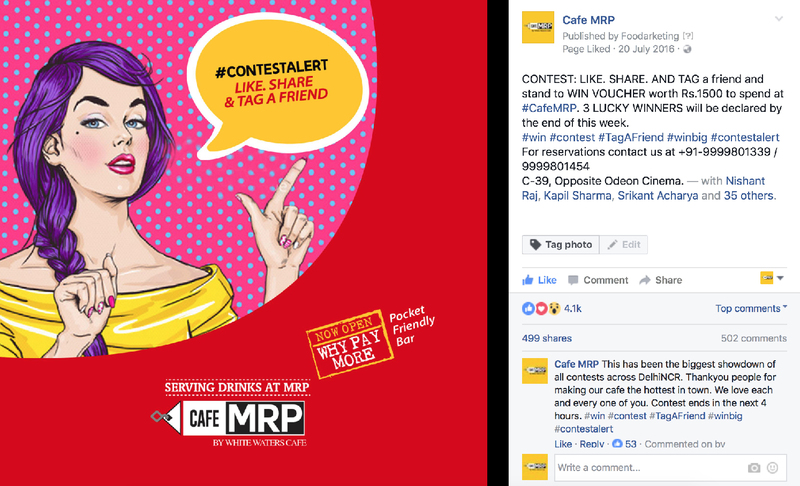 Good to see such a colorful website with nice font styles. 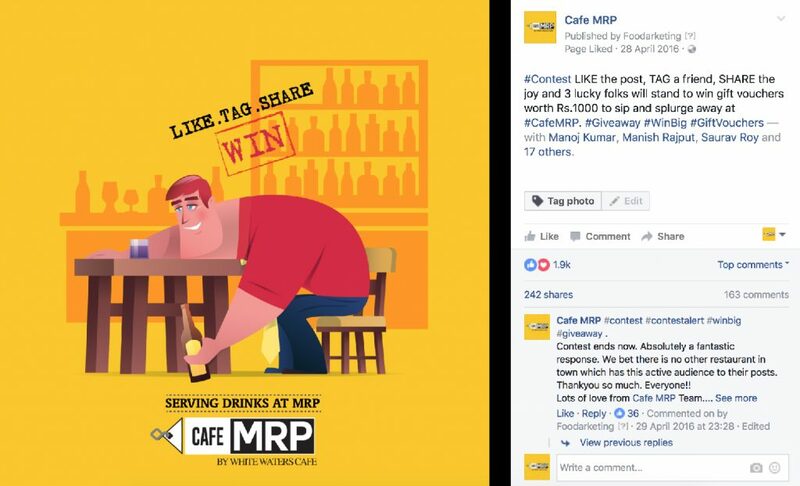 Good Luck Designers.